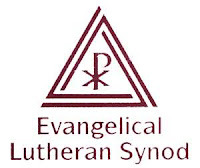 At this moment, I’m on the road to the Emmaus Conference, which is being hosted by Parkland Lutheran Church (ELS) in Tacoma, Washington, today and tomorrow. Traveling with me (or rather, I with him) is AZ-CA district president Jon Buchholz. At least three other pastors from our district will also be attending the conference. This “free conference” features the three synod presidents as its speakers: Pres. Mark Schroeder (WELS), Pres. John Molstad (ELS), and Pres. Matthew Harrison (LCMS). Pres. Schroeder has been given three hours on the agenda to present a lecture on the topic of “church fellowship.” I anticipate a very solid, confessional, evangelical essay from President Schroeder. The other two presidents will present their formal reactions to Pres. Schroeder’s lecture. I’m very much looking forward to the discussions that will be taking place over these two days, both formal and informal. It should be noted that one of the “rules” governing this free conference is that all the presenters must hold a “quia” subscription to the Lutheran Confessions. That is, they must subscribe to the entire content of the Lutheran Book of Concord, not “insofar as” (Latin “quatenus”) but because (Latin “quia”) they accurately expound the doctrine of the Holy Scriptures. This precludes the participation of all non-Lutherans (including representatives of the ELCA) in such a conference, and ensures a solid foundation and common ground upon which the essays and ensuing discussions can build. a good opportunity to try to explain and clarify the WELS doctrine and practice of church fellowship, to remove misunderstandings and caricatures that others may have about our beliefs, and to provide a public witness to our doctrine and practice of church fellowship…A free conference such as this should not be understood as formal "doctrinal discussions" between church bodies. It should not be seen as a step toward the re-establishment of fellowship between WELS and LCMS. 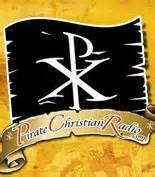 Rather, it is an opportunity for us to present biblical truth and to identify areas where Lutherans agree and disagree. I suppose there are some agreed-upon definitions somewhere as to what constitutes “formal doctrinal discussions,” and apparently this conference doesn’t qualify. But since the three synod presidents are the main (only) speakers on the agenda, and “doctrinal discussion” is the main agenda item, I think that to the average Joe, this conference could easily be construed as “formal doctrinal discussions.” Informal doctrinal discussions are already taking place all over the blogosphere, and between individual pastors and congregations around the country. Granted, none of the three speakers is coming with the authority of his synod to make decisions for the synod, but I see no reason to downplay the significant historical nature of this dialogue. 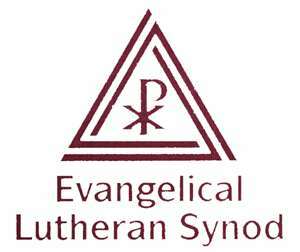 “To identify areas where Lutherans agree and disagree” is absolutely essential, and if this is accomplished, then I would consider it at least a possible first “step toward the re-establishment of fellowship between WELS and LCMS.” Obviously, if it is determined that true doctrinal differences still divide our synods, then these will have to be discussed at length and studied in the light of Holy Scripture and the Lutheran Confessions. This could take years. But it’s a formal discussion that is long overdue, in my opinion, and hasn’t been pursued with sufficient zeal by our three synods. Until now, perhaps? I will write a follow-up report after the conference is over. Let us pray for Presidents Schroeder, Molstad and Harrison, and for our three synods in which the true Gospel of Christ is believed, taught and confessed. Personally, the formal versus informal discussion dichotomy seems like pure semantics. Discussion is discussion, to my point of view... and when this discussion is being held by the presidents of three confessional Lutheran church bodies, only good things can result. To God alone the glory. I am very much looking forward to your post-conference report! FYI, my official non-official report of the conference will be posted on Wednesday, May 11th. Stay tuned!